Students can request for a particular course with or without a specific teacher or a period through Student Request and Group Request. Go to Scheduling >> Student Request / Group Request. 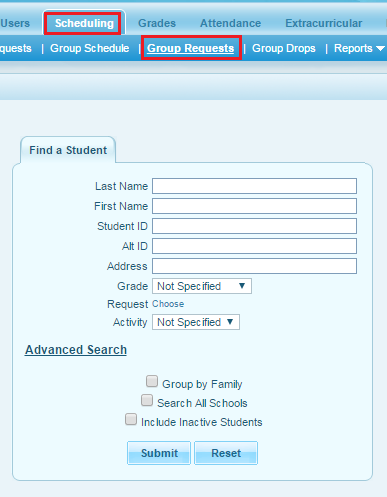 After clicking on Student Request you will get a default search screen. 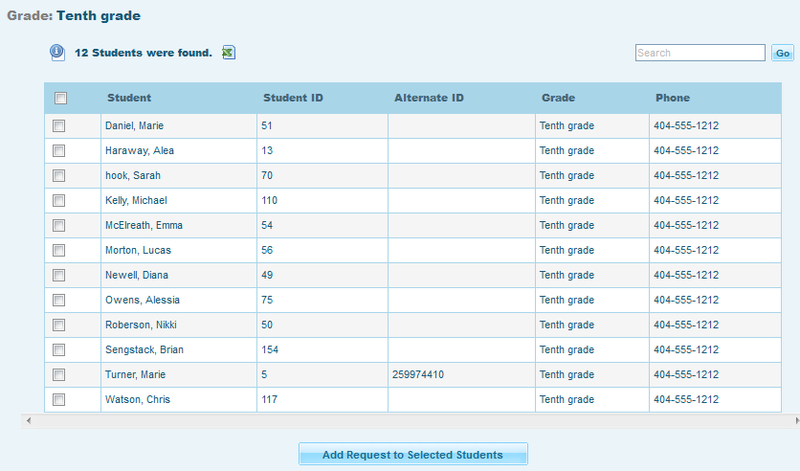 Do a blank submit to get all students or use the fields to obtain a specific list of students. Click on the student's name from the list. 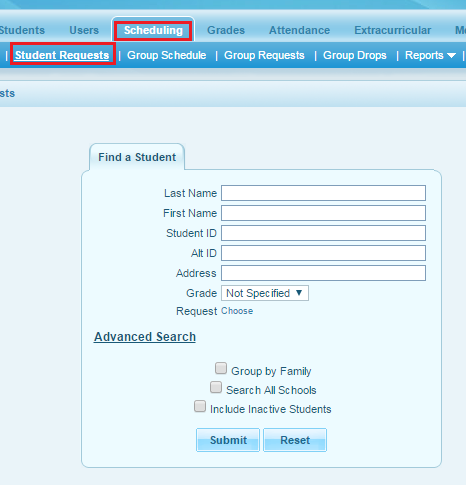 Now click on the student's name then select the subject & course and click on Add. Now select the details for with/without teacher and on/not on period and save it. The request is now added for that student. This can also be done from the Student log in. A group of students can request to join a course from Scheduling >> Group Request. Search the bunch of students with proper search criteria and submit. The student list will show up with the Choose Course with or without teacher and on or not on period box. 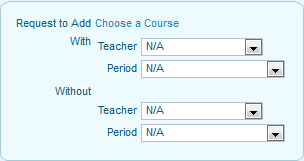 Select the course, teacher and period; select the students and click on the Add Request to Selected Students button. After saving, a confirmation message will be given by the system.